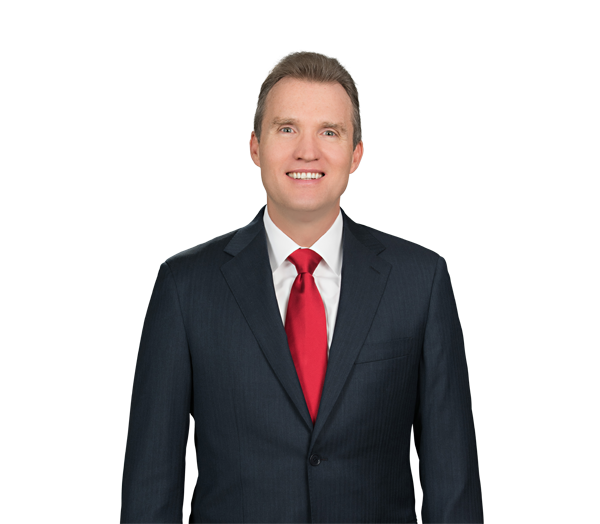 Jeff Henson currently serves as chair of the firm’s Finance and Capital Markets Practice Group. Jeff has extensive experience representing senior lenders and borrowers in connection with domestic and cross-border leveraged and investment-grade financings, with a particular focus on investment-grade acquisition financings. Advised Wells Fargo Securities LLC as sole book runner and sole lead arranger in connection with a $1.4 billion bridge financing for the acquisition by DTE Energy of midstream natural gas assets owned by M3 Midstream and Vega Energy Partners. Represented Wells Fargo Securities LLC and Merrill Lynch, Pierce, Fenner & Smith Inc. as joint book runners and joint lead arrangers in connection with a $3.65 billion bridge financing for the acquisition by Intercontinental Exchange Inc. of Interactive Data Corp. and $3.9 billion in revolving credit facilities for Intercontinental Exchange Inc. Represented Wells Fargo and Bank of America Merrill Lynch in providing financing to Intercontinental Exchange, Inc. for its joint bid attempt with Nasdaq to takeover NYSE Euronext. Represented Wells Fargo in the $1.02 billion financing for Laclede Group to acquire the assets of Missouri Gas Energy and New England Gas Co. Represented Wells Fargo and Bank of America in the $500 million financing for Intercontinental Exchange, Inc. to acquire New York Board of Trade. Represented lead agent and arranger of $250 million senior credit facilities used in part to finance the ceding commission paid by a life reinsurer to reinsure the business of Chase Insurance Group acquired by Protective Life Corp. Represented lead agent and arranger in the $90 million leveraged recapitalization of a private equity-owned specialty retailer in the hard surface flooring market. Represented lead agent and arranger in the $115 million dividend recapitalization of a direct seller of telecom and home services. Represented Wells Fargo and Bank of America Merrill Lynch in the $2.6 billion financing for Intercontinental Exchange Inc. Represented Wells Fargo in the $1.3 billion financing for AGL Resources Inc. Represented SunTrust Bank in the $700 million financing for Northern Illinois Gas Co. Represented Wells Fargo in the $1.65 billion financing for The Western Union Co. Represented Wells Fargo in the $1 billion financing for The Travelers Companies Inc. Represented Wells Fargo in the $480 million multicurrency revolver for The Brinks Co. and nine of its foreign subsidiaries in seven different foreign jurisdictions.